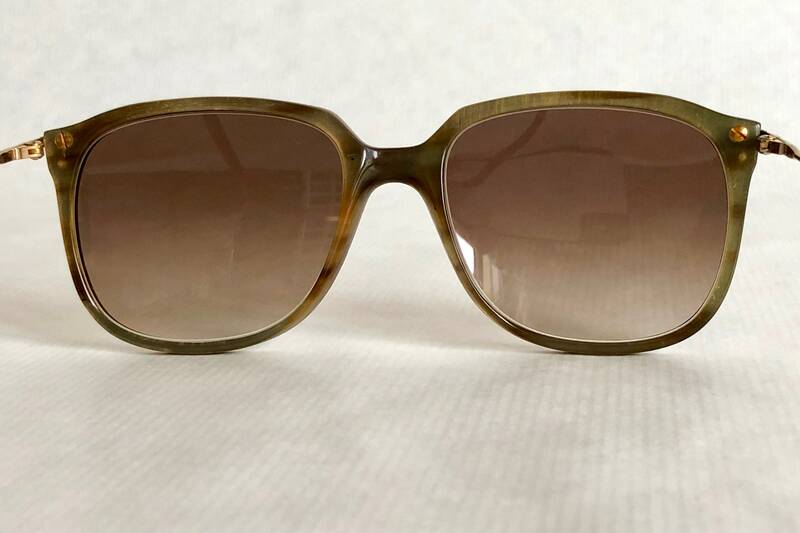 New Unworn Deadstock, frame in perfect flawless condition. 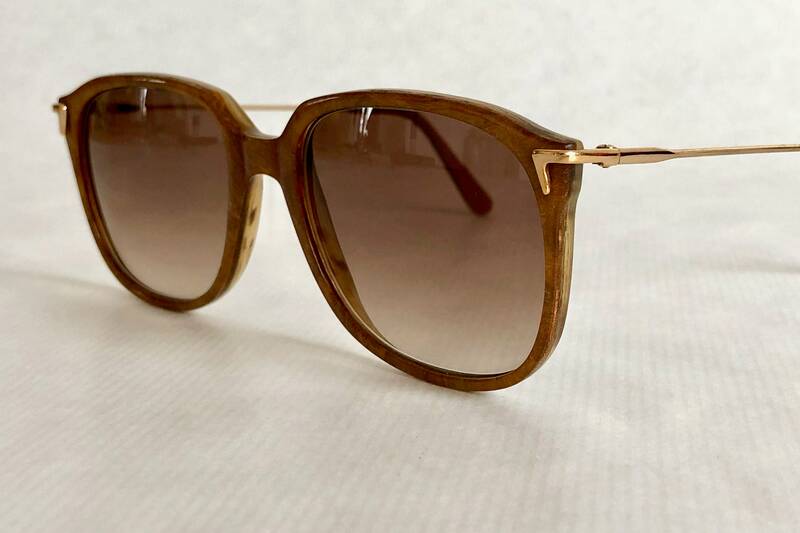 This piece of art combines all the skill and knowledge of luxury eyewear making with the most precious natural materials. 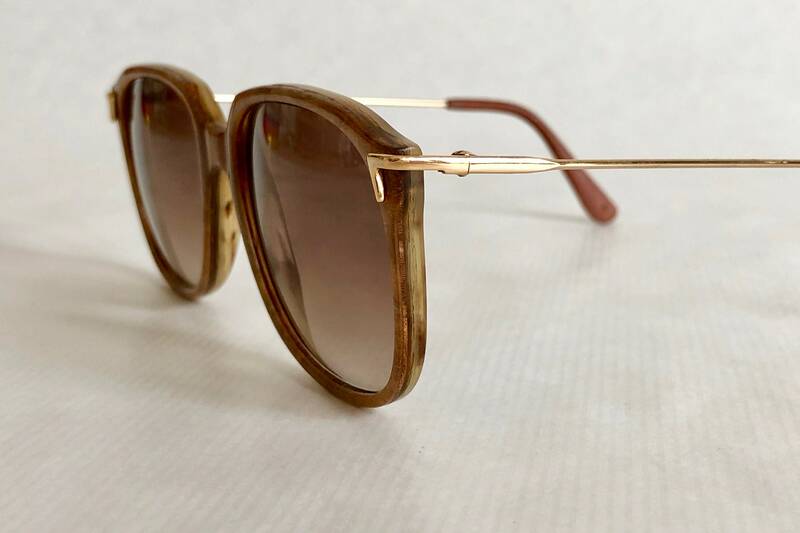 Manufactured by Nomis West Germany combining four different layers of genuine buffalo horn with a layer of precious wood and 18k gold temples with genuine leather earpieces. 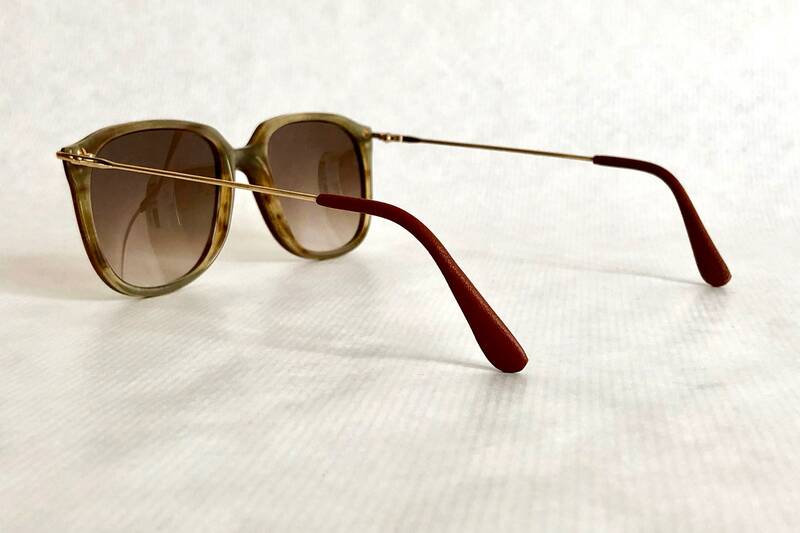 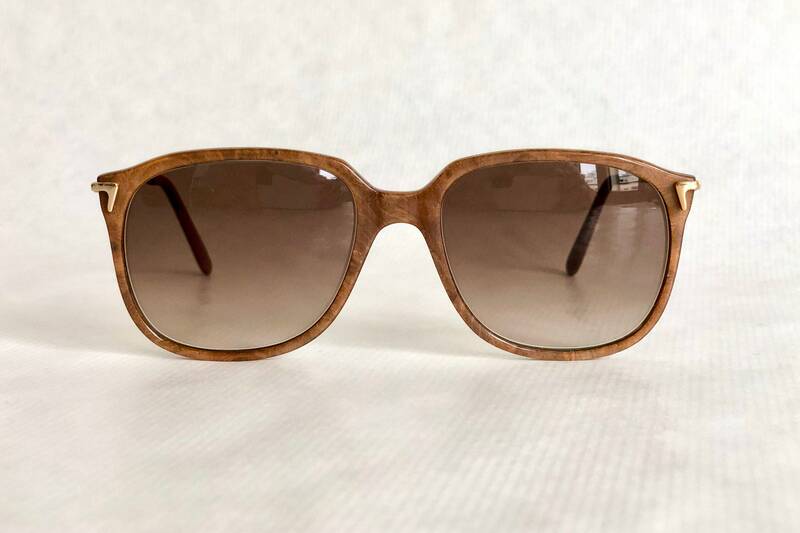 Genuine buffalo horn is a very sturdy natural material, If you want to adjust the frame please do it with an optician that knows how to handle horn, it has properties that differ from acetate or metal, yet when it is handled properly it can last longer than eyewear made from artificial materials. 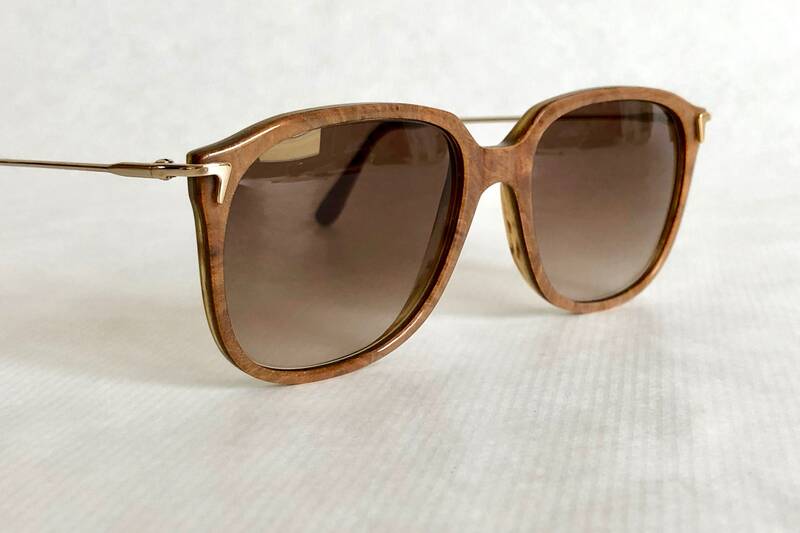 The upper layer of buffalo horn has been freshly nourished and polished, this treatment should be repeated every couple of years to maintain the lively aspect of the material. 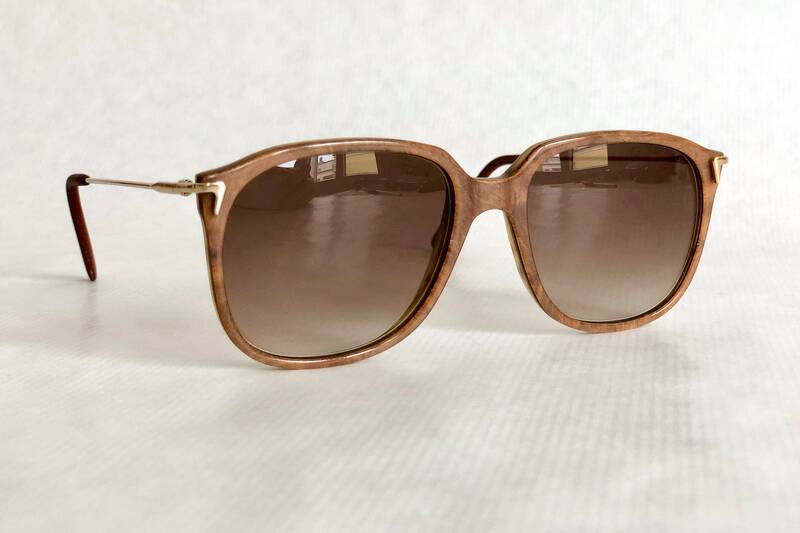 Brand new brown gradient lenses with 100% UV protection.